Over last 10 years we have published more than 10 WordPress plugins to official WordPress Plugin Repository. WordPress plugins are the best way to enhance your Site without modifying core WordPress files. With more than thousands of hooks and filters, WordPress is the most popular and widely used CMS platform across world. At Crunchify, we use Atom.io open source text editor developed by Github guys for all Plugin development. Over the time we like some of the add on packages to Atom.io editor. Those addon packages have decreased our development time dramatically with enhanced quality and would like to share those add on packages with you all readers. Let’s understand first what is Atom.io Editor? In my own words – Atom is one of the BEST editor for vibrant new world. Totally open sourced with thousands of add-on packages makes it very flexible and expandable with simple interface. 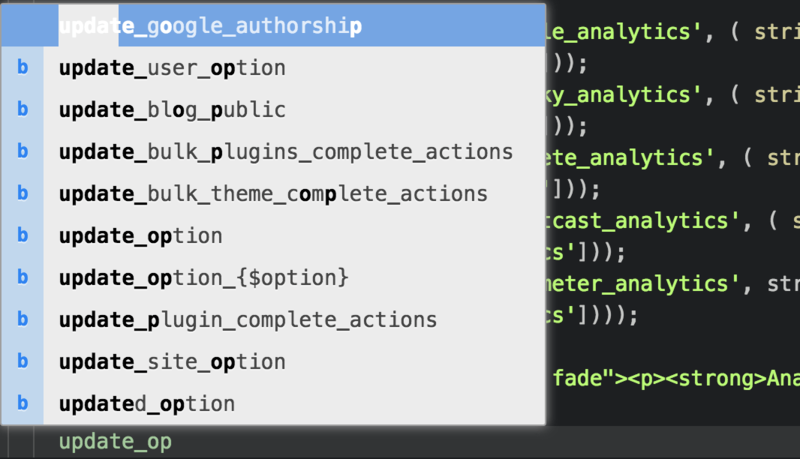 language-php is a core component of the Atom.io editor. Make sure it’s properly installed. If you don’t see that installed than try to install it manually. It’s one of the best editor for PHP. After switching over to Atom.io I’m sure you will also forget everything about PHP and Eclipse. atom-autocomplete-php works name as it’s name suggests. Just type any of the PHP function it will give you nice autocomplete screen. Just use mouse or keyword to include it into your codebase. linter-php is also one of the core Atom.io package maintain official by Atom guys. This package will lint PHP files and embedded PHP within HTML files in Atom through php -l.
This is my favorite. If you are on Mac OS X then just type Control+Option+B. It will beautify your existing file code. Like PHP autocomplete, this add on package will autocomplete all WordPress Hooks. It’s really handy to get list of all related WordPress hooks during plugin development. Using emmet, you could test responsive design side-by-side fast and easy way. Without any doubt, just install it and it will beautify your plugin later on for more CSS and HTML tricks. file-icon is kind of handy and fancy plugin which assigns file extension icons and colours for improved visual grepping. Simple plugin which highlights a line on which you have your mouse cursor. This add on provides core API support. It’s still not yet updated to latest version but basic features pre 4.1 should be available handy for your. Let me know what other add-on you recommend to me and our readers by adding comment below.